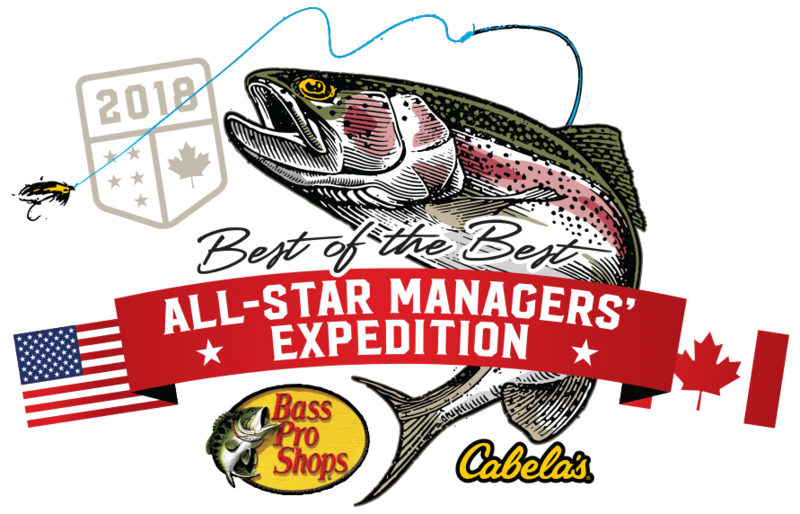 We are thrilled to have you join us for the All-Star Store Managers' Expedition! We look forward to your arrival and consider it an honor to be hosting you in a beautiful part of the country, the Missouri Ozark Mountains. 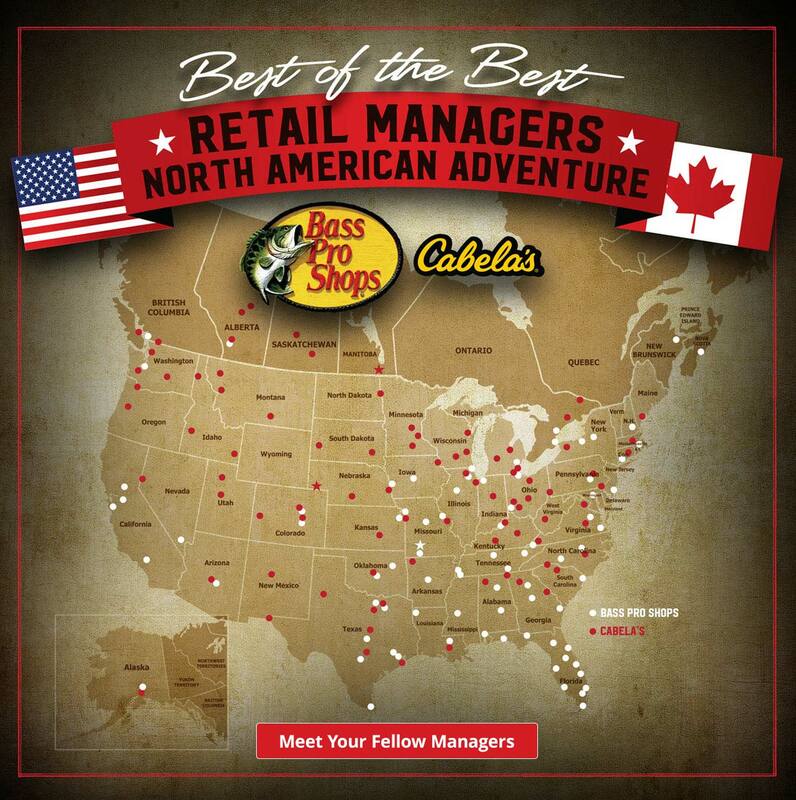 Your transportation, lodging, meals and activities have been arranged exclusively for you, the Best of the Best Store Managers! 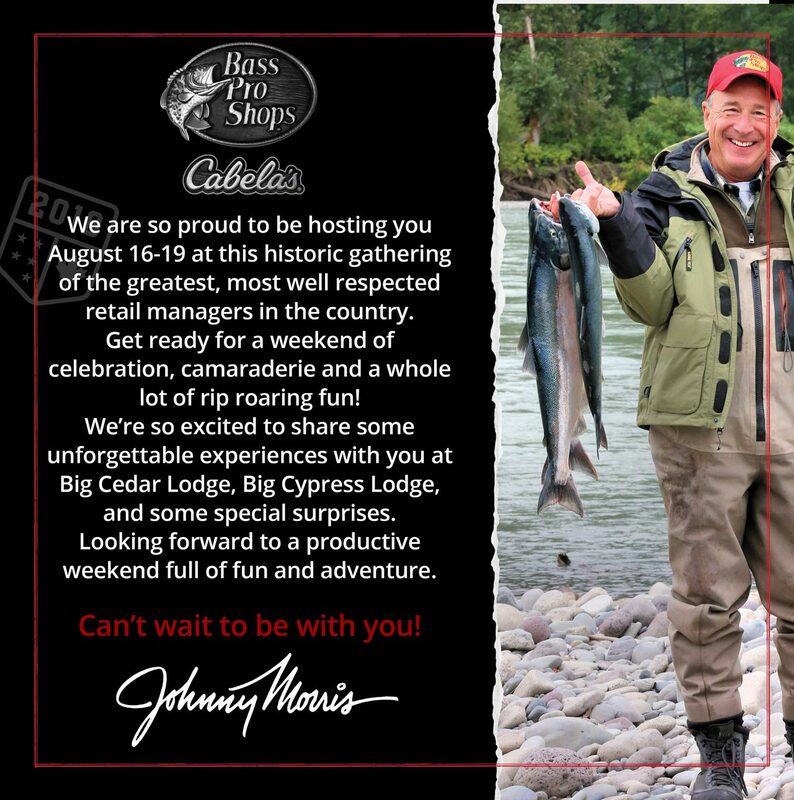 Johnny has planned an exciting weekend—one that promises to be great fun and hopefully very meaningful and productive, with a surprise or two along the way. 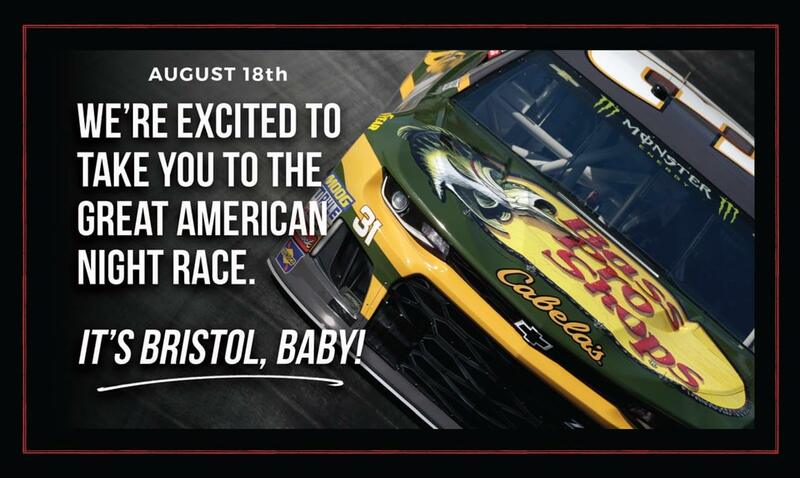 While getting to know each other better, we will also enjoy great activities and food, and a pit stop at the “Great American Night Race” in Bristol, Tennessee, where we'll cheer on our 2017 Monster Energy NASCAR Cup Series Champion, Martin Truex Jr., in the Bass Pro Shops/Ducks Unlimited Toyota, and Ryan Newman, driving the # 31 Bass Pro Shops/Cabela's Chevy. IMPORTANT NOTE: We will be sending you 4 luggage tags before your arrival. Please be sure to use the provided luggage tags. This will ensure that your luggage is delivered to the correct location. Canada & Alaska friends, don't worry! We'll have your luggage tags waiting for you at the Springfield airport upon your arrival. Please arrive for your flight two hours prior to your scheduled departure. If you encounter a travel delay, please call Angie Getso at 417-849-5779 or Adelman Travel at 1-800-231-3999. Upon your arrival in Springfield, you will be met at baggage claim. 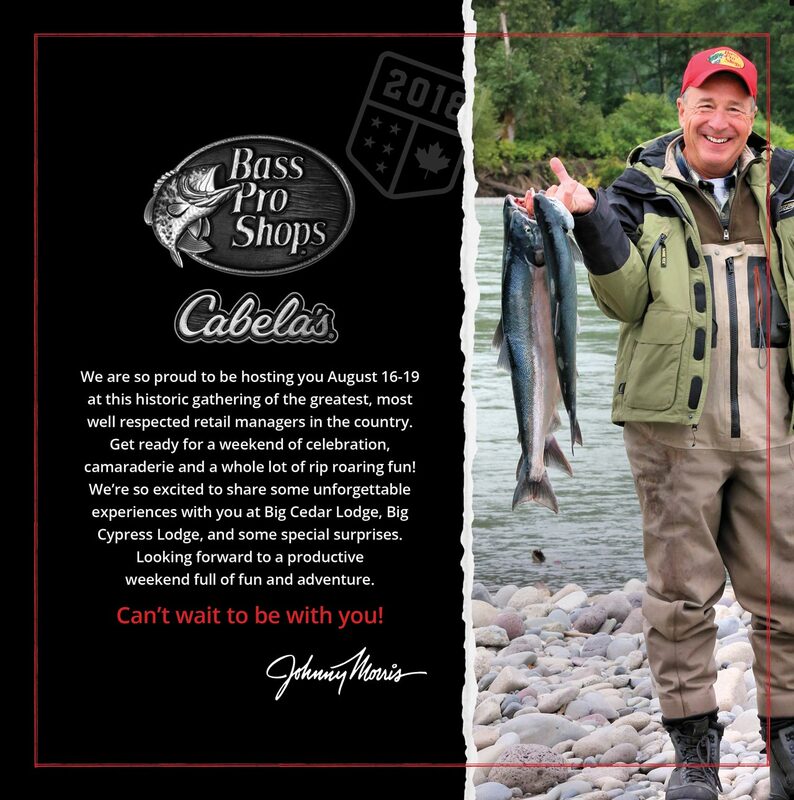 Your hosts will be wearing a Bass Pro/Cabela's hat. A shuttle will be waiting to take you directly to the Grandaddy Store for Registration. There you will check in and we can answer any questions you may have. 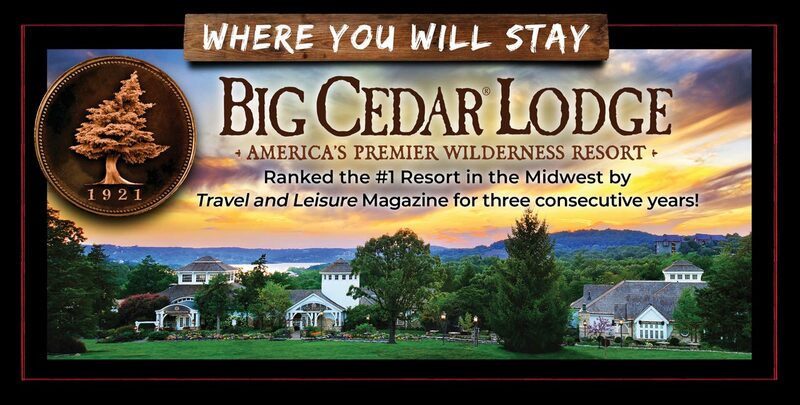 Your luggage will be delivered to your room at Big Cedar Lodge. *If you are driving your personal vehicle, please park your car in one of the designated parking spots at the front of the Bass Pro Shops store. **If you are driving a rental car, please drop your car off at the Springfield airport and board one of the shuttles to the Bass Pro Shops store. An associate with a Bass Pro/Cabela's Hat can direct you to the shuttle. 12:30pm Meet just outside the front entrance of Bass Pro Shops. Please be prompt! Note: 12:50pm & 12:55pm arrivals will be taken directly from the airport to Base Camp (Bass Pro Shops Headquarters' Campus). 1:00pm Get on shuttles in number order.Very Important: The number on the bottom right of your name tag is your seat assignment. Please locate your designated seat. You have been strategically placed in this order for your next journey; please remain in this order throughout the tour. 1:30pm Tour Base Camp—all-star meet and greet reception. 4:30pm Board busses to relocate to Wonders of Wildlife National Museum and Aquarium for tours and Evening for Conservation Celebration. 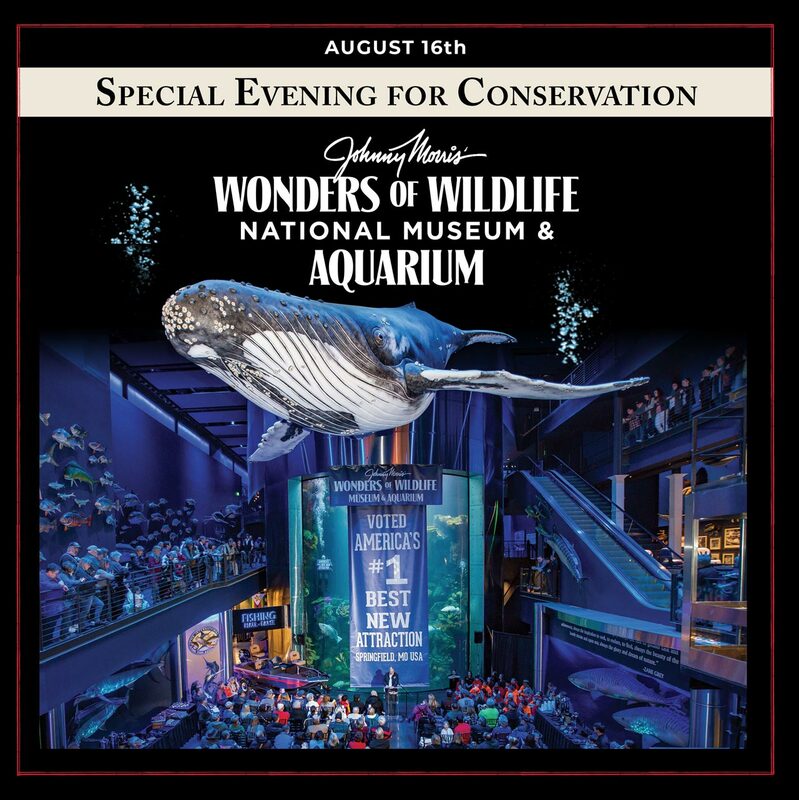 6:30pm Dine in Great Oceans Hall at Wonders of Wildlife National Museum and Aquarium. 7:30pm Entertainment and featured guests speakers. 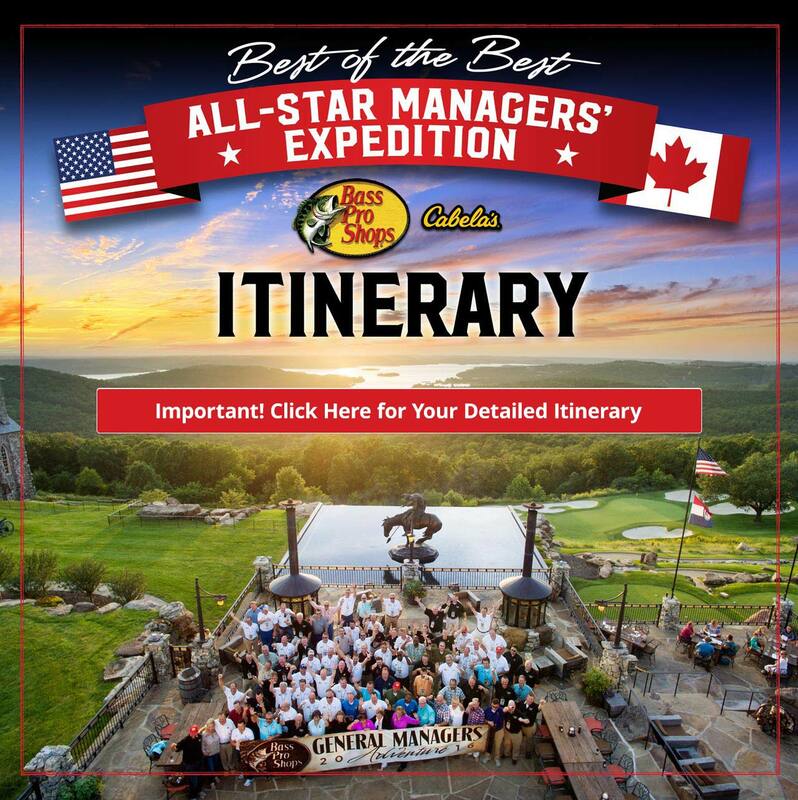 9:00pm Shuttles depart for Big Cedar Lodge—America's Premier Wilderness Resort. 6:45am A shuttle will pick you up at your room to take you to Falls Lodge. If you are staying in Falls Lodge, meet in the lobby. 7:00am Travel to Dogwood Canyon Nature Park. 7:30am–8:15am Breakfast at the Mill at Dogwood Canyon Nature Park. 8:15am–11:25am Trout Fishing & Wildlife Tram Tour through the Canyon. — It's a contest! Who can catch the biggest trout? 11:30am Shuttles depart for the Bass Pro Shops Shooting Academy. 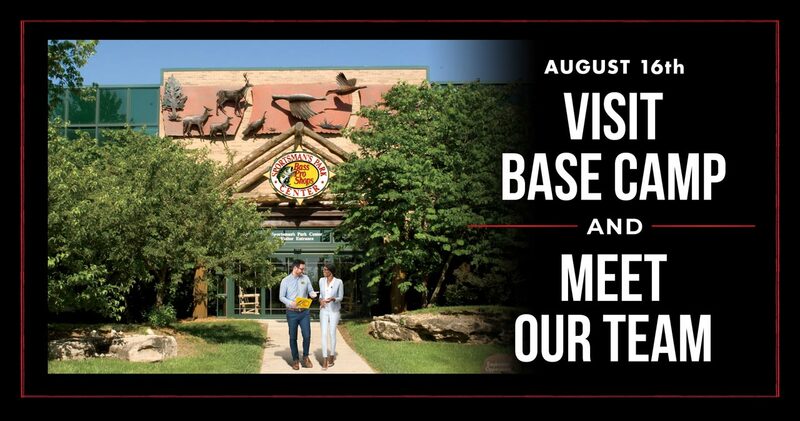 1:00pm–1:45pm Lunch at Bass Pro Shops Shooting Academy. If you chose golf as your activity, board a shuttle to be transported to Top of the Rock Golf Course. If shooting is your activity, head to the range. 5:30pm–6:30pm Free time to shower and relax in rooms. 6:30pm Shuttles from guest rooms to Top of the Rock. 6:45pm–7:30pm Tour the Lost Canyon Cave & Nature Trail like never before! 7:45pm Group photo on Buffalo Bar patio—Mark has a secret! 8:15pm Dinner on Buffalo Bar patio. 9:30pm After dinner, entertainment on the Driving Range. 10:15pm All board shuttles to Big Cedar Lodge. 6:00am Dress is casual with comfortable shoes, excluding sandals or open toed shoes. You may wear jeans or shorts. Be sure to wear your special black race shirt. *PLEASE NOTE: Be sure to have your 2 race wristbands, name tag, track map and program with you. DO NOT leave these items with your luggage. You must have it on to enter the track. **You will be going through airport security in Branson. No liquids over 3.4 ounces, firearms, pocket knives, etc. You will need your government issued I.D. 6:30am Shuttles from guest rooms to the Grandview Conference Center. First thing! Put on your race credentials! 2 wristbands & 1 lanyard with your suite pass in the lanyard. Please Note: Some of you will receive special race assignments. 6:30am–7:30am Breakfast at the Grandview Conference Center. 7:30am–11:15am Business meeting in Ballroom C&D. 11:30am Depart for Branson Airport. *Have your government issued I.D. ready. 12:45pm Wheels up! Lunch and a special treat will be served on the plane. 3:45pm Plane lands and Highway Patrol motorcade departs for Bristol Motor Speedway. Please Note: Time change. What bus do I get on? Match your wristband color to the bus captain's paddle. 4:30pm Arrive at Bristol Motor Speedway for welcome reception. 5:30pm Driver & crew chief meeting. 5:45pm Walk to Victory Lane. Golf carts available for guests who need assistance. 6:00pm Participate in pre-race ceremonies from Victory Lane. 7:15pm Group moves to turn 3. 7:41pm GM team members serve as Grand Marshalls—Deliver "Drivers, Start Your Engines" command! 7:42pm Team returns to Victory Lane to watch first 20 laps. 8:00pm Move to the VIP Suites to watch the race. What suite are you in? Flip your name tag over, the suite number should be on there. Dinner will be served in the suites. 100 Laps To Go Move to Ole Smoky Moonshine Deck. Conclusion of the Race Return to Bristol FBO & board planes for Memphis, TN. 1:30am Check in to Big Cypress & the Peabody (time change). What time is my departure in the morning? Look in your key packet. There will be a notecard with your departure time listed on it. Need to arrive 1.5 hours prior to your flight time. See departure list in your key packet. 8:00am–11:00am Breakfast in The Lookout. Late Departures Lunch at Uncle Bucks. Graceland tickets available upon request. We can't wait to have you here with us again!